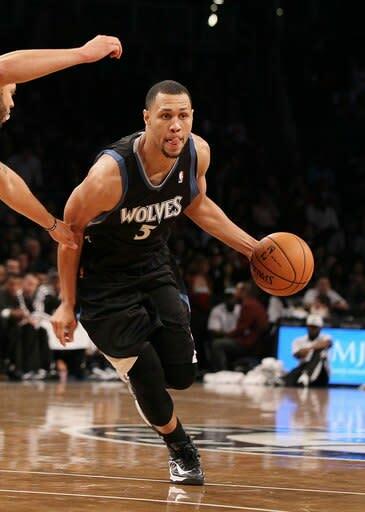 After seriously considering retirement for the second time in three years, Minnesota Timberwolves guard Brandon Roy says he will again attempt to find treatment for his failing knees and try to play in the NBA. Nevertheless, the chance of the three-time All-Star guard returning to a productive career is remote, sources told Yahoo! Sports. "….The past two days I have been weighing all of my options as I try to continue my basketball career," Roy said in a statement released by the team. "I have decided to explore additional treatment options and an extensive rehabilitation plan. "My goal has been, and continues to be, to return to the basketball court as healthy as possible in order to help our team." After returning to practice for the first time since knee surgery on November 19th, Roy suffered a setback in recent days, and strongly considered forgoing the search for further treatment avenues and another long process of rehabilitation to instead retire, sources said. Roy developed into one of the NBA's best shooting guards in five-plus seasons with the Portland Trail Blazers, earning three All-Star appearances and winning the 2007 Rookie of the Year award. Several knee surgeries and the erosion of knee cartilage eventually forced his retirement in 2011. The Blazers used the NBA"s amnesty clause on Roy and paid him the remaining $63 million of his contract owed him. After undergoing the platelet-rich plasma procedure that revived the careers of Kobe Bryant and Tracy McGrady, Roy embarked on a comeback over the summer. He signed a two-year, $10 million contract with the T'wolves, but played only five regular-season games before issues with his right knee again required surgery. • Is there a power struggle in the Jets organization?